Bright, clean strings make an amazing improvement in the sound of your instrument. Smooth, clear tone can make all the difference in your playing, whether it's a flat-picked mandolin or a five-string slapped bass. 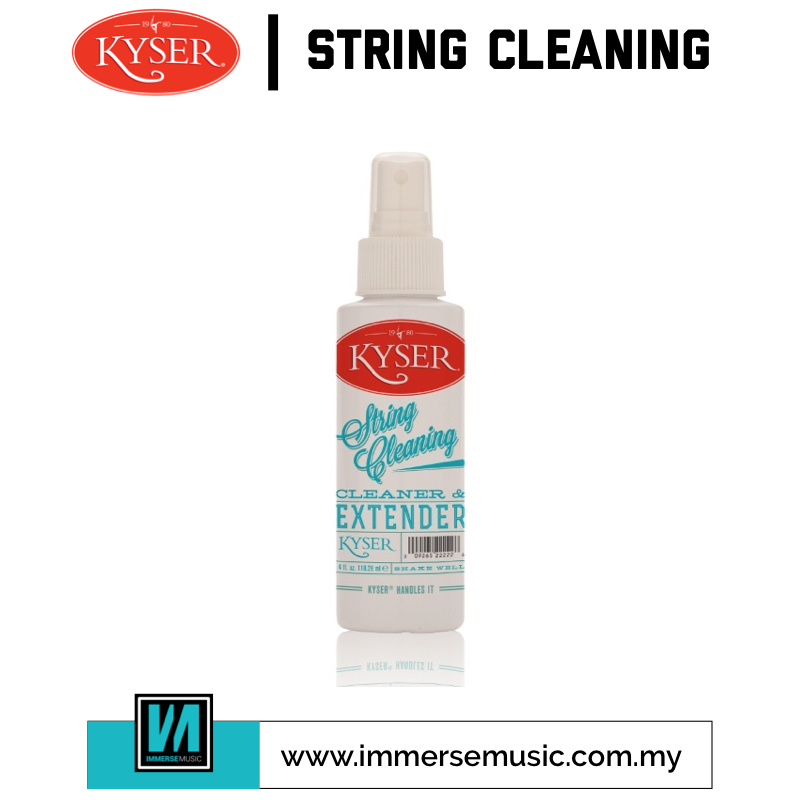 Kyser String Cleaning digs into the tiniest grooves in your strings to remove the oily residue that dulls your sound, and lubricates at the same time for less string buzz and faster riffs. Get the most out of your instrument - with Kyser String Cleaning. Available as 4oz spray bottle or a larger resealable envelope that contains 10 individually sealed wipes. We now have a new and improved Kyser String Cleaning formula that is a milky white color. Click here to view Safety Data Sheet (SDS).